All such myths variously "tell significant truths within each Aboriginal group's local landscape. They effectively layer the whole of the Australian continent's topography with cultural nuance and deeper meaning, and empower selected audiences with the accumulated wisdom and knowledge of Australian Aboriginal ancestors back to time immemorial". 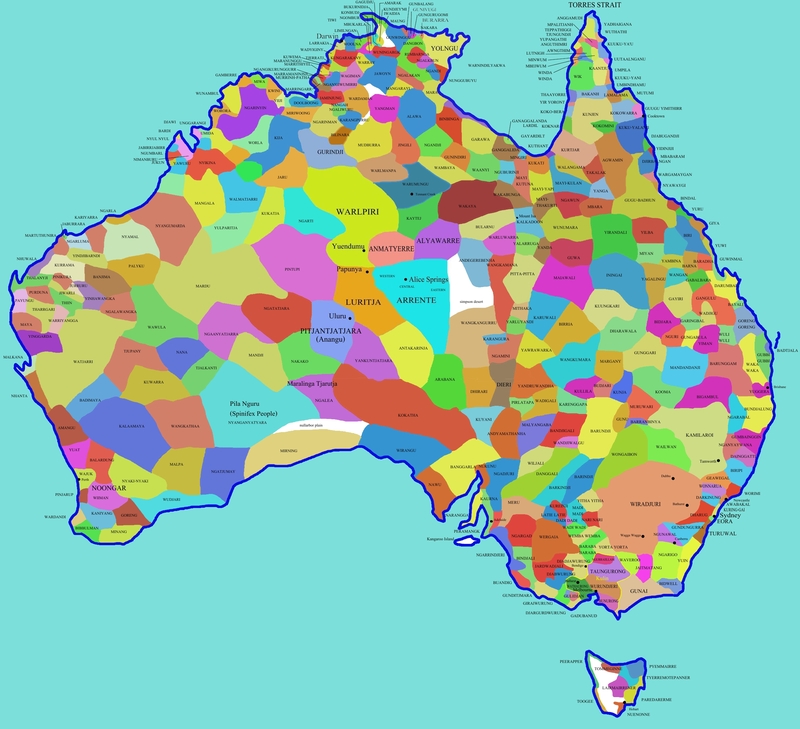 Australian Aboriginal mythologies have been characterized as "at one and the same time fragments of a catechism, a liturgical manual, a history of civilization, a geography textbook, and to a much smaller extent a manual of cosmography." 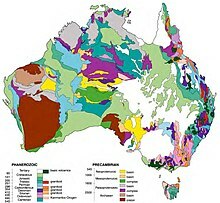 Other volcanic eruptions in Australia may also be recorded in Aboriginal myths, including Mount Gambier in South Australia, and Kinrara in northern Queensland. "...they generally describe the journeys of ancestral beings, often giant animals or people, over what began as a featureless domain. Mountains, rivers, waterholes, animal and plant species, and other natural and cultural resources came into being as a result of events which took place during these Dreamtime journeys. Their existence in present-day landscapes is seen by many indigenous peoples as confirmation of their creation beliefs..."
"The routes taken by the Creator Beings in their Dreamtime journeys across land and sea... link many sacred sites together in a web of Dreamtime tracks criss-crossing the country. Dreaming tracks can run for hundreds, even thousands of kilometres, from desert to the coast [and] may be shared by peoples in countries through which the tracks pass..."
"It is always integral and common... that the Law (Aboriginal law) is something derived from ancestral peoples or Dreamings and is passed down the generations in a continuous line. While... entitlements of particular human beings may come and go, the underlying relationships between foundational Dreamings and certain landscapes are theoretically eternal ... the entitlements of people to places are usually regarded strongest when those people enjoy a relationship of identity with one or more Dreamings of that place. This is an identity of spirit, a consubstantiality, rather than a matter of mere belief...: the Dreaming pre-exists and persists, while its human incarnations are temporary." "People come and go but the Land, and stories about the Land, stay. This is a wisdom that takes lifetimes of listening, observing and experiencing ... There is a deep understanding of human nature and the environment... sites hold 'feelings' which cannot be described in physical terms... subtle feelings that resonate through the bodies of these people... It is only when talking and being with these people that these 'feelings' can truly be appreciated. This is... the intangible reality of these people..."
Even Australia's 'Bunyip' was identified as a 'Rainbow Serpent' myth of the above kind. 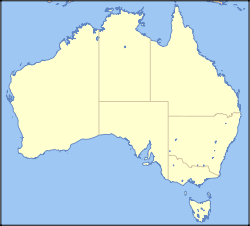 The term coined by Radcliffe-Brown is now commonly used and familiar to broader Australian and international audiences, as it is increasingly used by government agencies, museums, art galleries, Aboriginal organisations and the media to refer to the pan-Australian Aboriginal myth specifically, and as a shorthand allusion to Australian Aboriginal mythology generally. Cardwell, Queensland: Chloe Grant and Rosie Runaway told of how Captain Cook and his group seemed to stand up out of the sea with the white skin of ancestral spirits, returning to their descendants. Captain Cook arrived first offering a pipe and tobacco to smoke (which was dismissed as a 'burning thing... stuck in his mouth'), then boiling a billy of tea (which was dismissed as scalding 'dirty water'), next baking flour on the coals (which was rejected as smelling 'stale' and thrown away untasted), finally boiling beef (which smelled well, and tasted okay, once the salty skin was wiped off). Captain Cook and group then left, sailing away to the north, leaving Chloe Grant and Rosie Runaway's predecessors beating the ground with their fists, fearfully sorry to see the spirits of their ancestors depart in this way. "set up the people [cattle industry] to go down the countryside and shoot people down, just like animal, they left them lying there for the hawks and crows... So a lot of old people and young people were struck by the head with the end of a gun and left there. They wanted to get the people wiped out because Europeans in Queensland had to run their stock: horses and cattle." Death in Aboriginal religion in some aspects may seem like it has some Western traditions in regard to having a ceremony and mourning the loss of the person that is deceased. However, that is really the only thing that this religion has in common with Western religion as far as death is concerned. "For Aboriginal people when a person dies some form of the persons spirit and also their bones go back to the country they were born in". "Aborigine people believe that they share their being with their country and all that is within it". "So when a person dies their country suffers, trees die and become scarred because it is believed that came into being because of the deceased person". When an Aborigine person dies the families have death ceremonies called the "Sorry Business". "During this time the entire community and family mourns the loss of the person for days". "They are expected to cry together and share grief as a community". If someone was out of town and arrives after they have had a ceremony for the deceased, the entire community stops what they are doing and goes and tells them and mourns with them. "The family of the deceased all stay in one room and mourn for their loved one". "Naming a person after they have died is not allowed in the Aborigine religion". "To say someone's name after they die would be to disturb their spirit ". Photos of the deceased are not allowed for fear of disturbing the spirit also. Many Aborigine families will not have any photographs of their loved ones after they die. "A smoking ceremony is also conducted when someone dies". "The community uses smoke on the belongings and also the residence of the deceased to help release the spirit". "Identifying the cause of death is determined by elders who hold the cultural authority to do so, and the causes in question are usually of a spiritual nature". "The ceremonies are likened to an autopsy of Western practice". Ceremonies and mourning periods last days, weeks and even sometimes months depending upon the social status of the deceased person. It is culturally inappropriate for a non-Aboriginal person to contact and inform the next of kin of a person’s passing. When someone passes away, the family of the deceased move out of their house and another family then moves in. Some families will move to "sorry camps" which are usually further away. Mourning includes the recital of symbolic chants, the singing of songs, dance, body paint, and cuts on the bodies of the mourners. The body is placed on a raised platform for several months, covered in native plants. Sometimes a cave or a tree is used instead. "When nothing but bones are left, family and friends will scatter them in a variety of ways. 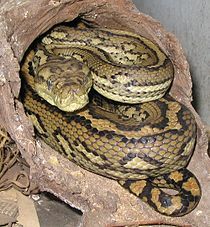 They sometimes wrap the bones in a hand-knitted fabric and place them in a cave for eventual disintegration or place them in a naturally hollowed out log". The Aboriginals believe in a place called the "Land of the Dead". This place was also commonly known as the "sky-world", which is really just the sky. As long as certain rituals were carried out during their life and at the time of their death, the deceased is allowed to enter The Land of the Dead in the "Sky World". The spirit of the dead is also a part of different lands and sites and then those areas become sacred sites. This explains why the Aboriginals are very protective of sites they call sacred. The Aboriginals believe that life is a never-ending cycle. You are born, you die, you are born again as an animal, human or other life form . The rituals that are performed enable the aborigine to return to the womb of all time which is another word for "Dream Time". It allows the spirit to be connected once more to all nature, to all their ancestors, and to their own personal meaning and place within the scheme of things. "The Dreamtime is a return to the real existence for the aborigine". "Life in time is simply a passing phase – a gap in eternity". It has a beginning and it has an end. "The experience of Dreamtime, whether through ritual or from dreams, flowed through into the life in time in practical ways". "The individual who enters the Dreamtime feels no separation between themselves and their ancestors". "The strengths and resources of the timeless enter into what is needed in the life of the present". "The future is less uncertain because the individual feels their life as a continuum linking past and future in unbroken connection". Through Dreamtime the limitations of time and space are overcome. For the Aborigine people dead relatives are very much a part of continuing life. It is believed that in dreams dead relatives communicate their presence." At times they may bring healing if the dreamer is in pain". "Death is seen as part of a cycle of life in which one emerges from Dreamtime through birth, and eventually returns to the timeless, only to emerge again. It is also a common belief that a person leaves their body during sleep, and temporarily enters the Dreamtime". Animating and sustaining this Murrinh-patha mythology is an underlying philosophy of life that has been characterised by Stanner as a belief that life is "... a joyous thing with maggots at its centre." Life is good and benevolent, but throughout life's journey, there are numerous painful sufferings that each individual must come to understand and endure as he grows. This is the underlying message repeatedly being told within the Murrinh-patha myths. It is this philosophy that gives Murrinh-patha people motive and meaning in life. Parker, K. Langloh (1896). Australian Legendary Tales (1 ed.). Melbourne: Melville, Mullen and Slade. ^ "Ngadjon jii - Earthwatch Web Page". Archived from the original on 2 February 2008. Retrieved 25 December 2007. ^ "Queensland's wet tropical forests (Place ID 105689)". Australian Heritage Database. Department of the Environment. ^ Nunn, Patrick D. "When the Bullin shrieked: Aboriginal memories of volcanic eruptions thousands of years ago". The Conversation. Retrieved 15 June 2018. ^ Cohen, Benjamin E.; Mark, Darren F.; Fallon, Stewart J.; Stephenson, P. Jon (1 April 2017). "Holocene-Neogene volcanism in northeastern Australia: Chronology and eruption history". Quaternary Geochronology. 39: 79–91. doi:10.1016/j.quageo.2017.01.003. ISSN 1871-1014. ^ a b Bird Rose, Deborah (2003). Experiences of Place (Religions of the World). Harvard University Press. pp. 163–168. ISBN 978-0945454380. ^ a b c d e Spirits, Jens Korff, Creative. "Mourning an Aboriginal death". Creative Spirits. Retrieved 4 May 2017. ^ a b "Australian Aborigine Dream Beliefs". dreamhawk.com. Retrieved 4 May 2017.